BrightonSEO (September) 2018 Roundup – What’s The Future For SEO? BrightonSEO 2018 Roundup – What’s The Future For SEO? 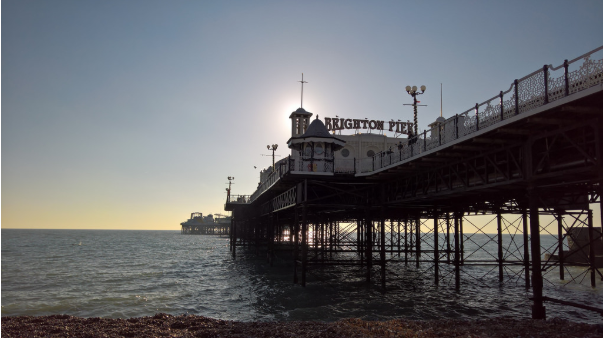 BrightonSEO (September 2018) offered another great showing from what’s probably the best SEO conference in the world. If you’ve never experienced a BrightonSEO before you should definitely grab a ticket for the next event in April. The conference always features a variety of different talks from some of the top digital marketers in the industry. From link building and outreach to technical SEO and startups, every topic is covered in some shape or form. The September 2018 conference featured a lot of conversation over the future of SEO and recent algo changes (i.e. the latest Google Medic update) that could change the way we approach search marketing. 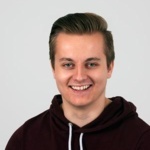 As a Seeker technical SEO, I found this topic hugely relevant for the future of our industry, so here are my key takeaways from the conference. It was nice to see back to back technical talks to kick off the conference. Some highlights were some actionable insight from Barry Adams as well as some rel=canonical goodness from Mark Thomas. Thanks to everyone who came to #BrightonSEO and helped make it such a special event. Loved giving my talk, loved meeting friends old & new, love being part of this amazing industry. It’s always really useful seeing real-world SEO problems that top SEOs have faced and the solutions they’ve stumbled across while working through the issue. For me, the most value I get from Brighton (other than free drinks and fidget spinners) is the action points I can take away and implement for our very own clients. SERPs was undoubtedly my favourite track this year with talks from Hannah Thorpe, Izzi Smith and Patrick Reinhart. It’s nice when your own SEO observations and strategies are validated by the talkers on-stage. The SERPs talks definitely touched upon the new-age of SEO and tactics that are becoming more and more important to outshine the competition. Brand is definitely a ranking factor and one that’s becoming more important in the SERPs. We’ve had a lot of exposure to the latest Google Medic update at Seeker and it seems brand authority, trust and expertise (EAT) is a major factor that has impacted rankings across the board. Building a better brand should be your top priority if you want to keep your page one rankings and if you don’t agree, have a read of the slides below. Brighton seo seo-without-traffic from Found. It’s no secret that featured snippets are where the traffic’s at in 2018. The hard thing is actually landing these featured snippets and keeping them yours. I was impressed with some of the suggested tactics for stealing your competitor’s snippets and some of the ways you can find snippets that are actually achievable for your brand – the SlideShare below is definitely worth a quick read. In case you’re not in the loop, the Google Medic update was a big algo update that launched at the beginning of August and impacted a lot of health-related websites but touched pretty much all ‘YMYL’ sites (sites which impact your money or your life e.g. health product retailers or gambling sites). I think this is a sign of things to come for SEO as Google wants you to earn your page one positions the right way, by deserving to be there! You need to display your authority on the subject (produce quality content on your subject-matter) and show trustworthiness (links from industry experts, outbound links to company certificates) in order to rank in a post-Medic world. This was touched upon in many talks, with some speakers sharing some useful points on ways to become that top authority in your industry. Rand was the keynote speaker at this year’s Brighton and he delivered a very interesting talk on the future of SEO; he also stayed pretty composed despite some small technical issues at the start of his talk! This was a talk worth looking back on for all SEOs as so much was touched upon and Rand really hit the nail on the head when it comes to Google’s lack of love for content creators using their platform. The searcher is always Google’s #1 customer and unfortunately SEO is likely to suffer because of that. Thanks to featured snippets and other widgets that appear directly on the SERP, Google is slowly taking clicks away from websites. It seems Google would much rather keep their users on the search engine, without ever having to click-off to a website to find what they’re looking for (which makes sense from a UX standpoint). Google is even trialling microsites built within the search engine itself! We should definitely take this as a sign of things to come. Rand compared the future of SEO with the sudden loss in Facebook organic reach and how Google may take a similar approach to Facebook in the near future. Scary for SEOs but it’s a possibility that we should be ready for. Build a brand. Google may be taking some of our hard-earned clicks away but we’re still not losing impressions or reach. Search engine usage is only growing. The best way to combat this lack of clicks is to compete for the featured snippets and search widgets that Google is implementing. It’s more important than ever to build a brand that cares about its users and isn’t solely focused on the sale. We’ll see brand as a ranking factor becoming more and more important over the next few years and if you do want to achieve those featured snippets, it’s time to become an authority. Whether that means getting featured on some industry publications or linking out to your companies awards and certifications from the home page, prove to Google that you deserve to be number one. I’m happy to say that I’ve come out of BrightonSEO with a handful of action points. Here’s what I’m getting started with right now. Take a look at your company (not just your website) and understand the overall perception of your brand. How much market share do you have? How many brand searches do you attract? Pull some Google Trends data on your brand name and see if interest is increasing or decreasing. If any of our clients are ignoring the power of brand building (for example not using social media) this is something we need to be aware of as it’s certainly going to hurt us in the long run. Whether it’s awards, certifications or talented members of staff, it’s time to start shouting about your company and show Google you deserve to be at the top of page one. With clicks in the SERPs likely to dry up (even though that’s massively down the line and not a certainty), we need to give people a reason to visit our site. That means providing a user experience that no one else can match, not even Google. We can also use customer benefits and discounts to back this up. So, in short, this was another incredibly valuable SEO conference that was enjoyed by the whole Seeker team! We’ve learned a lot and can’t wait to meet up with the industry again at the next BrightonSEO in 2019. If you want to read other perspectives of the conference, browse our blog.